I haven’t painted my nails in a really long time, but when I get an extra 2 days to relax at home (yay for bank holidays!) I always like to make time to do my nails! Since I haven’t painted them in a while I’ve been a bit out of the loop when it comes to nail polishes. 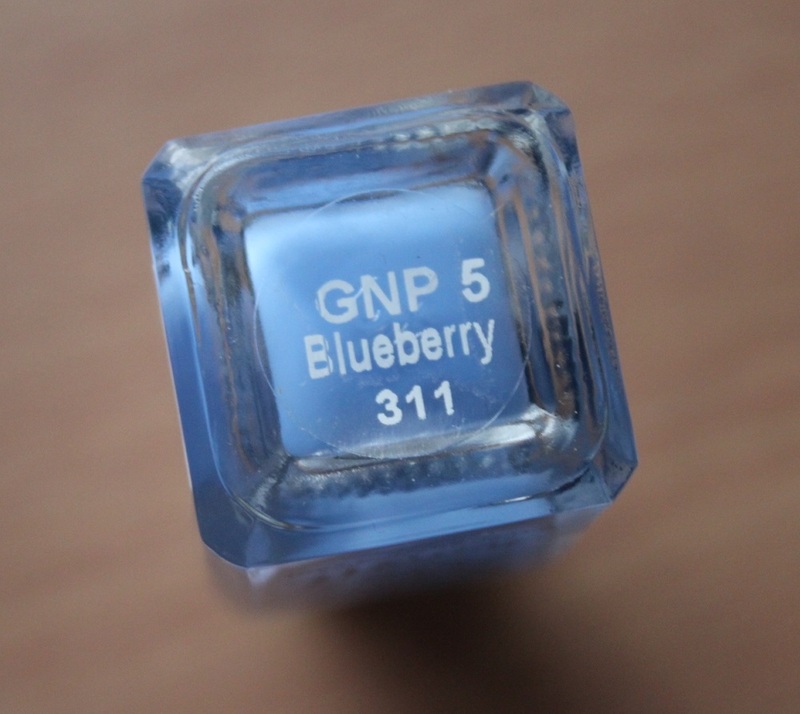 One that I have had my eye on though is the Barry M Gelly Hi Shine nail polish in the shade Blueberry, which is my choice for this weekend! Blueberry has been mentioned to me by a number of people including my work colleagues so when I popped into Boots at this weekend where they had a 3 for 2 offer, I picked up this Barry M nail polish, Rimmel nail polish in Peppermint and a Real Techniques Expert Face brush! I’ve been a fan of Barry M nail polishes since I was in college, but the one thing that bothered me back then was the fact that the formula didn’t dry as quickly as most other nail polish lacquers. Not having used a Barry M nail polish in a while though I’ve noticed a huge difference, and that it now takes half the time to dry than it did! Of the shades that I saw, Blueberry definitely stood out to me with its beautiful, cornflower blue colour. 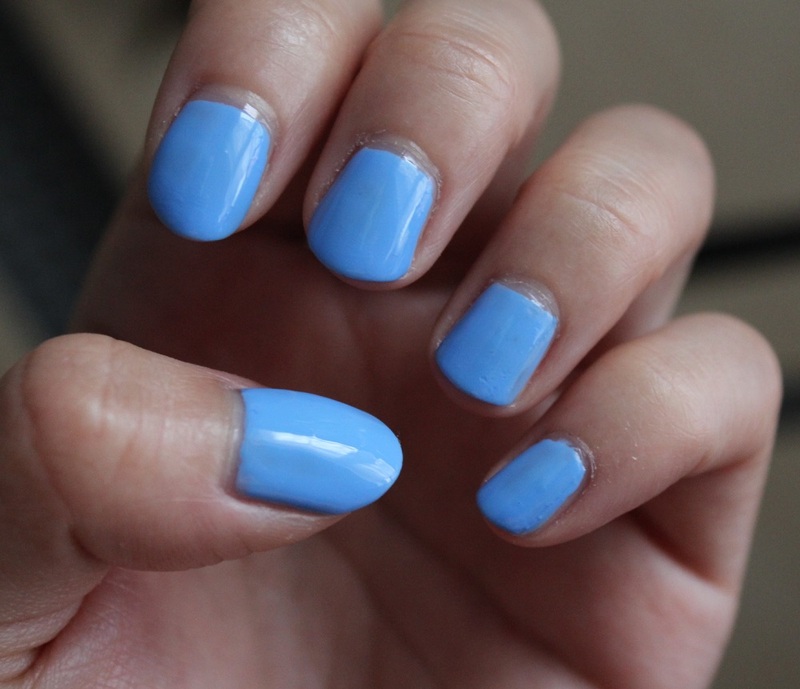 It achieved full opacity after only 1 coat and each nail was evenly covered. The finish is reminiscent of gel nails/shellac with a super glossy shine. Have you tried the Barry M Gelly Hi Shine nail polishes? What colours did you go for?